Nadeem may well be termed as the best thing that has happened to Pakistan film industry. Undoubtedly, his contribution towards Pakistani Cinema is worth written in the letters of gold in the history of Pakistan film industry. Nadeem not only continues to be the most ever popular Superstar, Hero and Performer in the 69 years long history of Pakistani Cinema, he has made everyone inside and outside Pakistan accept and appreciate his outstanding acting abilities and skills. The Presidential Award for Pride of Performance awarded to him is only one proof of this statement. Nadeem’s film career spanning over 49 years is full of wonderful achievements and success. Nadeem, in the presence of high class performers like Santosh Kumar, Muhammad Ali, Waheed Murad, Habib and Kamal not only won Best Actor’s Nigar Award in his first film CHAKORI but with consecutive super hit movies namely CHAKORI, CHOTEY SAHIB and SANGDIL, created such a record of success not accessible by any other actor before and after him. Nadeem’s journey to the success that started in 1967 has never stopped and even today, in 2006, he continues to be the No.1 actor of Pakistani silver screen. In the 69 years long history of Pakistani films, only 24 films have the distinction of celebrating Diamond Jubilee (completing a run of 100 or more weeks). Nadeem alone figures in 10 out of these 24 movies. 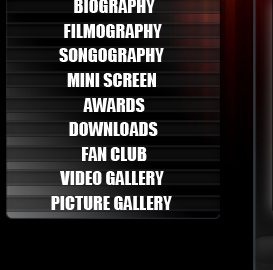 His Diamond Jubilee films include. NADAN(1973), ANARI, PECHAN(1975), TALASH(1976), AINA (1977), HUM DONON(1980), LAJAWAB, QURBANI(1981), SANGDIL(1982) and DEHLEEZ(1983). This record number of Diamond Jubilee films seems to remain an unsurpassable challenge for others. PEHCHAN and ANARI (1975) and LAJAWAB and QURBANI (1981) were released in the same year. Crossing the landmark of Diamond Jubilee by two movies in a single year on two occasions is an unprecedented example of success. In addition to above mentioned super hit movies, Nadeem is also the hero of highest number (10) of Platinum Jubilee films (running for 75 or more weeks). These films are: CHAKORI(1967), DIL LAGI(1974), AMBER & ZINDAGI (1978), PAKEEZA(1979), BANDISH(1980), MIAN BEEVI RAAZI(1982), KAMIYABI(1984), JEEVA(1995) and DEEWANAY TERE PIYAR KAY(1997). In addition to these super hit Diamond and Platinum Jubilee films, the number of his Golden Jubilee films (running for 50 or more weeks) is also much higher (46) than all the other actors, past and present. Nadeem’s Golden Jubilee films are: CHOTEY SAHIB (1967), SANGDIL(1968), BEHEN BHAI(1969), AANSOO (1971), SOCIETY, DAMAN AUR CHINGARI(1973), SAMAJ, PHOOL MERE GULSHAN KA, INTIZAR, BHOOL, SHAMA, ZEENAT, JAB JAB PHOOL KHILAY, KOSHISH, SACCHAI, MUHABBAT AUR MENHGAI, MUHABAAT EK KAHANI, PRINCE, PLAY BOY(1979), SAIMA, BADALTAY MOUSAM, RISHTA, MEHENDI LAGI MERE HAATH(1980), KHOOBSURAT(1982), LAZAWAL(1984), DEEWANEY DO, ZAMEEN AASMAN(1985), HESAAB, FAISLA(1986), CHORON KI BARAT(1987), BAZAR-E-HUSN, MUKHRA(1988), INSANIYAT KE DUSHMAN, BULANDI (1990), MADAM RANI, JO DAR GIYA WOH MER GIYA, JUNGAL KA QANOON(1995), HAWAIN(1996), INTEHA(1999) and KYUN TUM SEY ITNA PYAR HAI(2005). AINA which can well be described as a symbol of the caliber of Nadeem’s talents, is the most successful movie ever made in Pakistan. A big hit all over the country, it ran continuously for more than five years in Karachi completing more than 400 weeks. It also won 12 Nigar Awards which remains the highest number of awards won by a single Urdu movie. AINA may be termed as a record breaking and trend setting movie in many aspects. In 1980, an Indian film Noor Jahan was granted special permission of exhibition in Pakistan. It acquired a sort of a challenge for Pakistan cinema. Mastermind Director Parvez Malik accepted the challenge and produced HUM DONON presenting Nadeem in double roles. HUM DONON proved a blockbuster which ran for 165 weeks in Karachi becoming the second most exhibited movie after AINA. Meanwhile Nadeem’s two more films BANDISH and SAIMA also got released and won laurels in a neck to neck fight with NOOR JAHAN. BANDISH was shown for 86 and 82 weeks in Lahore and Karachi respectively. Earlier in 1971, Nadeem became the first actor to play three different characters in his film JALTEY SURAJ KEY NICHEY. There was a time in 1990s when films in the national language Urdu had almost been abandoned. In these circumstances Nadeem’s films INSANIYAT KE DUSHMAN entirely in Urdu was as unprecedented success which once again attracted film producers towards the production of Urdu movies. Apart from the above mentioned movies, Nadeem’s BAZAR-E-HUSN, ZID, BULANDI, JEEVA, JO DAR GIYA WOH MER GIYA, SARGAM, HAWAIN and DEEWANAY TERE PIYAR KAY are such social, romantic and dramatic movies which opened new dimensions in film making. 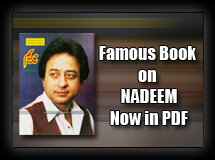 Nadeem has not only established unparalleled and undefeatable records of success but has also made both the masses and classes realize his superior natural, innocent, sentimental, graceful and charming acting. He has left inerasable images in the art of acting, playing serious, comedy, romantic, emotional, action and all other kinds of roles with equal ease and expertise. That is why, during last 37 years, Nadeem has begged 19 Nigar Awards as Best Actor of the year. He received these awards in CHAKOR(1967), EHSAS(1972), NADAN(1973), ANARI(1975), AINA(1977), PAKIZA(1979), SAIMA(1980), QURBANI(1981), SANGDIL(1982), DEHLEEZ(1983), LAZAWAL(1984), NARAZ (1985), FAISLA(1986), CHORON KI BARAT(1987), MUKHRA (Best Actor & Best Producer)(1988), BAROOD KI CHAON (1989), GORI DIAN JAHANJRAN(1990), WATAN KAY RAKHWALAY(1991), SUPER PERFORMANCE(1992) & LIFE TIME ACHIEVEMENT AWARD(2000). That Nadeem won 14 consecutive Nigar Awards as best actor from 1979 to 1992 without break, itself speakers of Superiority of Nadeem’s acting talent over all other actors of that period. Likewise Nadeem has won FIVE National Film Awards since the inception of such awards in 1983. He won these awards for his outstanding performances in LAZAWAL(1984), QATIL KI TALASH(1986), MUKHRA(as Producer, 1988), BAROOD KI CHAON(1989) and LIFE TIME ACHIEVEMENT AWARD(2000). In 1991 President of Pakistan bestowed Nadeem with the Medal for Pride of Performance which is another acknowledgement of Nadeem’s contribution to Pakistani Cinema at the highest level. About three decades ago, it was believed that Indian movies were plagiarized in Pakistan. But for many years this has been the case with India cinema and Indian producers have been busy in plagiarizing Pakistani films. Nadeem has the distinction of being the most popular actor for plagiarization. Almost every successful movie starring Nadeem has been plagiarized scene to scene in India. Some notable instances are: AINA(Piyar Jhukta Naheen & Raja Hindustani), DEHLEEZ (OOnchey Loug), MEHERBANI(Alag Alag), ANSOO(Mazlum), SANGDIL(Jhoota Such), LAZAWAL(Janbaz, Ziddi Larka), FAISLA(Paap Ki Dunya), MUTTHI BHAR CHAWAL(Ik Chader Meli Si), QURBANI(Adhekar), DIL LAGI(Jhoota Kaheen Ka), BAZAR-E-HUSN(Pati Patni Aur Twaif), USTADON KAEY USTAD(Andaz Apna Apna). All these Indian films proved very mediocre versions of Pakistani Films. Moreover, no indian actor was able to produce a matching performance as Nadeem’s. Besides acting Nadeem has also sung many hit songs to his credit as a play back singer. In fact Nadeem, basically a singer, is the first actor in Indo-Pakistan to have sung for movies. Almost all of his two dozen songs have been popular. If, in 1967 his duet with Firdousi Begum “Kahan ho tum ko dhoond rahi hain yeh baharain yeh saman” was a super hit street song, in 1989, his duet with the melody queen Noor Jahan “Mundia dupatta chad mera” was a phenomenal hit. In the years 2001 and 2002, Urdu films suffered from lack of purposeful topics. Nadeem found no point in acting in such type of movies and opted to return to Karachi, his native town, saying good by to the films. TV producers, however, wasted no time in casting Nadeem in their Drama Serials. Nadeem, therefore, appeared in 8(Eight) TV Serials namely BISAAT, CHALTEY CHALTEY, CHEHREY, MUHABBAT KA EK PEHER, AMBULANCE, EK SAFAR TANHA HE, JAISEY JAANTE NAHIN and MALIKA(2005). He also acted in 6(Six) long and short plays namely HAAR JEET, RAKH MEIN CHINGARI, FURSAT, LAWS IN LAW, WUJOOD and MUSAFIR KHAANA(2005). He was co-producer in BISAAT and TERI YAAD AAGAI, a musical program in which Nadeem rendered his favourite songs. All these productions got popularity and applause from the viewers. Completing his 50 years on Pakistani Screen, Nadeem seems to have taken a fresh guard the release of movies namely SIKANDAR and ZARRAR are his notable coming movies. Nadeem certainly has the sense of occasion. He has always come to the rescue of Pakistani film industry in the hour of crisis. Today, Pakistani film industry is facing the worst crisis of its history. There would not have been a better time to make a comeback and serve the film industry in the hour of need. 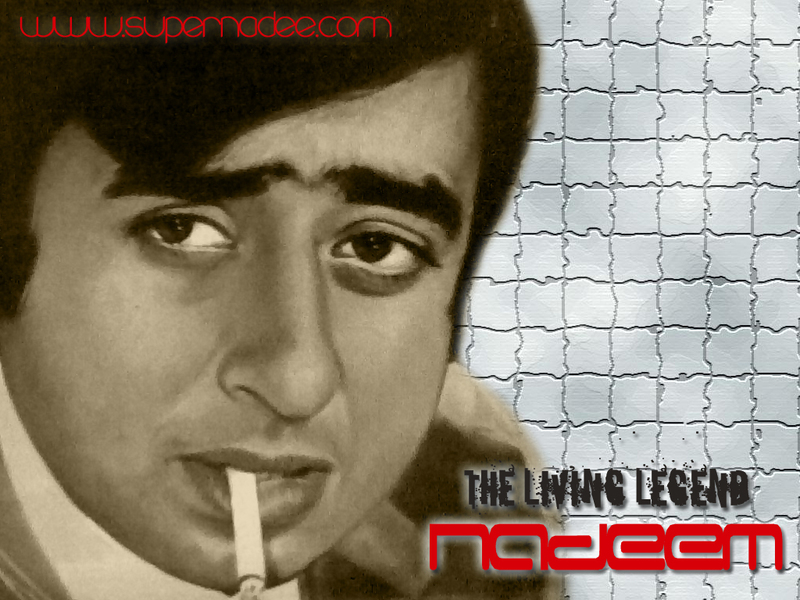 Well done Nadeem, the King of Pakistani Cinema.